Super Eagles Technical Adviser, Gernot Rohr, says the Super Eagles of Nigeria are not favourites to lift the 2019 African Cup Of Nations tournament which kicks off on June 21 in Egypt. Rohr made the disclosure at a pre-match news conference in Asaba ahead of the Nigeria/Seychelles AFCON qualifier on Friday billed for the Stephen Keshi Stadium in Asaba, Delta State. 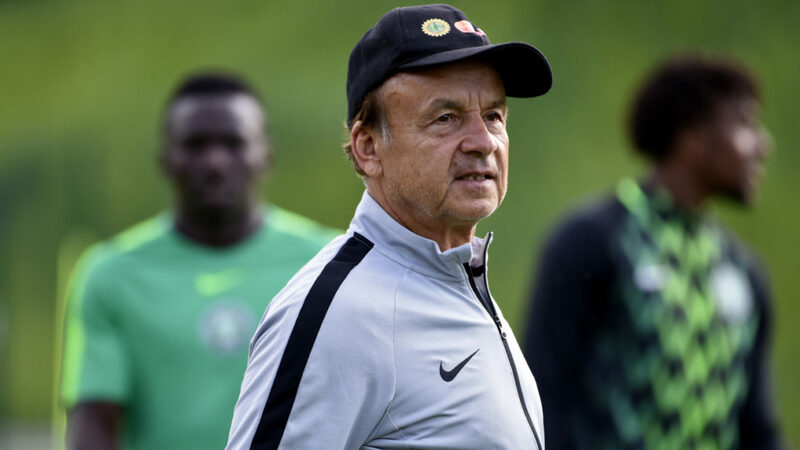 The News Agency of Nigeria (NAN) reports that Rohr was responding to a comment credited to Moroccan national team coach, Herve Renard, who tipped Nigeria and Senegal as favourites to lift AFCON 2019. Rohr said though the Super Eagles have improved since their outing at the last World Cup in Russia, a lot of work still need to be done. “We have to work, we have young players in the team, most of them new in the team,” he said. “It is not easy to go to a major tournament and win, most especially when we don’t have a player playing in the champions league. On his expectations from the Seychelles game, the German-French soccer tactician said he expects the Super Eagles to defeat the Pirates of Seychelles. He said the game against Seychelles is a very important game for the Super Eagles, most especially as they want to top the group. “We want to have the highest goalscorer in the AFCON qualifier, we also want to top the group. “So, the match against Seychelles is very important to us,” Rohr added.